Krav Maga, without any doubts, is one of the most popular and complete self-defence systems of today. It is normal that a lot of individuals with little or no experience become Krav Maga Instructors after a short course or even just “wake up one morning” calling themselves an instructor. This is very bad because a coach without Krav Maga experience/knowledge will put his students’ lives in danger… By this we mean for example, delivering a “Krav Maga” class that involves more boot camp fitness than Krav Maga, they are giving their students the wrong idea about self defence and krav maga – boot camp will not save your life. Inexperience gives rise to shoddy techniques that do not work and learning these gives students a false confidence – if attacked the student is more likely to try and do something (because they think they can defend themselves) when perhaps running away would have been an adequate response. 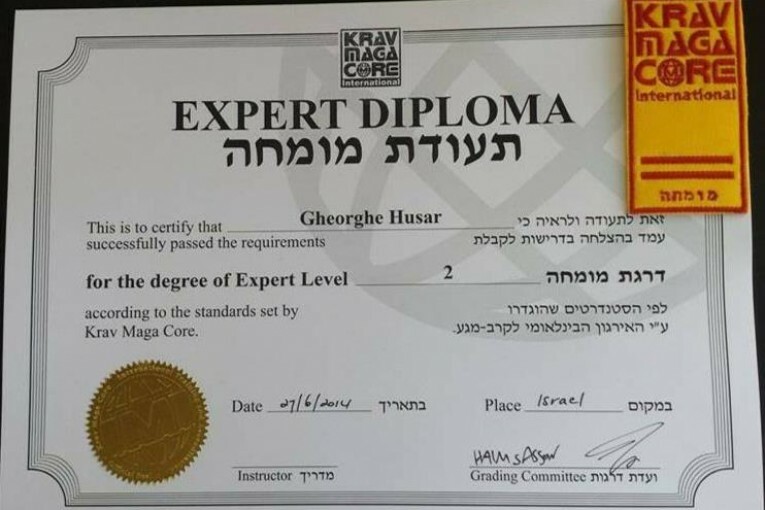 – How much Krav Maga experience has the instructor got as a practitioner, as a student of Krav Maga, before becoming an instructor? The more experience he has had prior to becoming an instructor the better he will understand the principals and techniques of this system. – What is his Level as Instructor? Graduate? Expert? (Always chose an Expert over a Graduate) AND PLEASE ask to see certificates of authenticity of those qualifications he/she claims to have. Next : Is Krav Maga for Me?